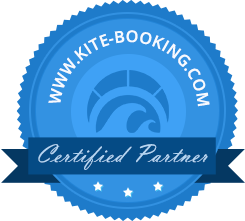 Fill out the form, add your business to the directory and join our extensive list of the best Kite Centers around the globe. NOTICE: In case your National Currency is not listed, it means that is currently not supported by PayPal. We are sorry for the inconvenience and we advise you to choose an International Currency that better serves your Business. Sorry, that username already exists! This email already exists. Please choose another one. To be valid the password must be at least 6 characters long. Passwords don't match. Please try again. Please select your company's type before you can continue.